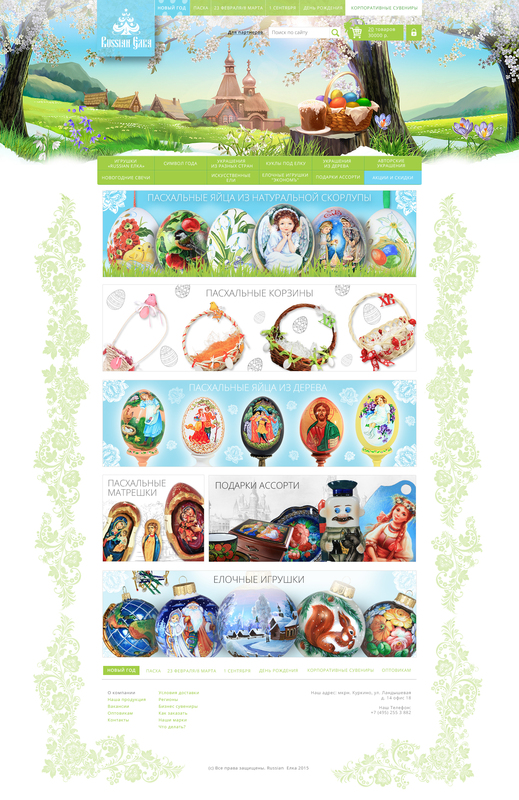 «Russian Elka» online shop. The company creates unique seasonal handmade souvenirs, including Christmas balls, and also produces corporate souvenirs for various holidays. The site contains 14 sample pages. A set of banners was developed for the site.